This 50th Anniversary Radical Race Package Flying Scot has a white hull and blue waterline. 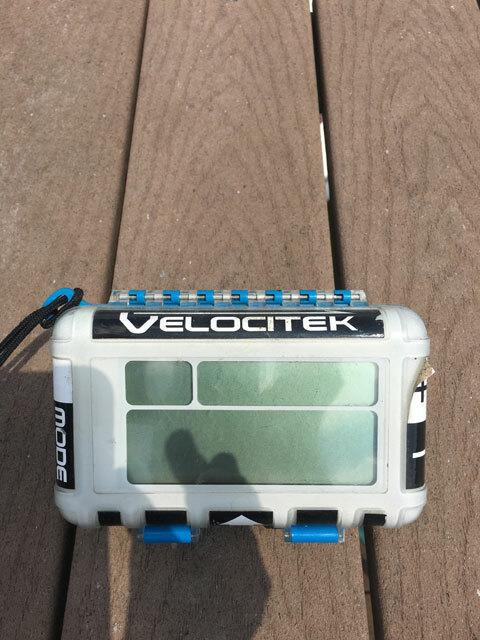 In great condition and fully race tuned (thanks to Kelly Gough). 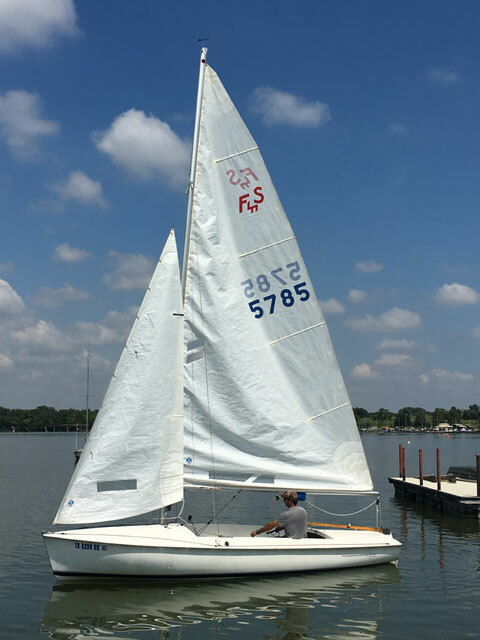 Radical Race Package comes with a 6:1 cunningham and outhaul, 12:1 boom vang, and 2:1 pole lift, taper spinnaker pole, aft led spinnaker halyard & take-up wheel, auto ratchets on main, jib and spinnaker sheets, and 2:1 jib harness. 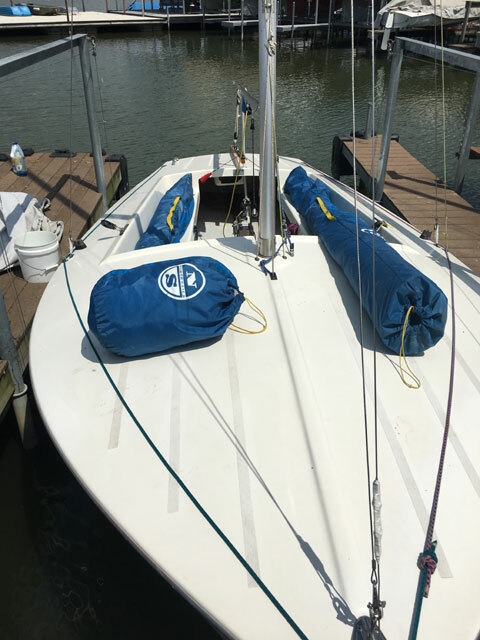 2 full set of sails (Main, Jib, and spinnaker) -- one used set of North sails and one new set of Schurr sails (never used). Swim latter, anchor, paddle, bow flotation, rudder lift kit and bag. 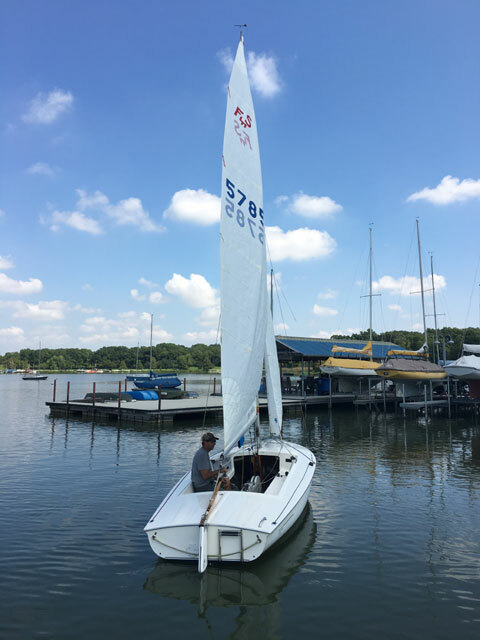 The boat was originally delivered new to Corinthian Sailing Club on White Rock Lake, Dallas, TX. It then spent 2 years in Oklahoma with the original owners, and then we bought it and brought it back to Dallas, TX. It has been a very lightly used boat the whole time. 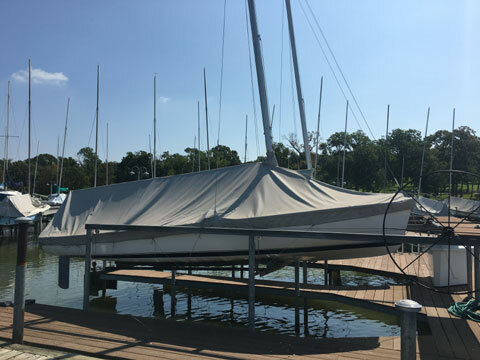 The boat is currently in a davit at Corinthian Sailing Club on White Rock Lake, Dallas, TX. The davit is also for sale at the sailing club.